Have you ever mentioned “chemicals” in passing to a friend or coworker and noticed the brief look of horror make its way across their face? Let’s face it — chemicals have a bad rep. Recent research has shown some industrial chemicals, pesticides and disinfectants have been labeled as carcinogens. Although not all chemicals are bad, I find that more and more folks are looking for commercial cleaning products and industrial floor cleaning machines to strip their floors without the use of chemicals. 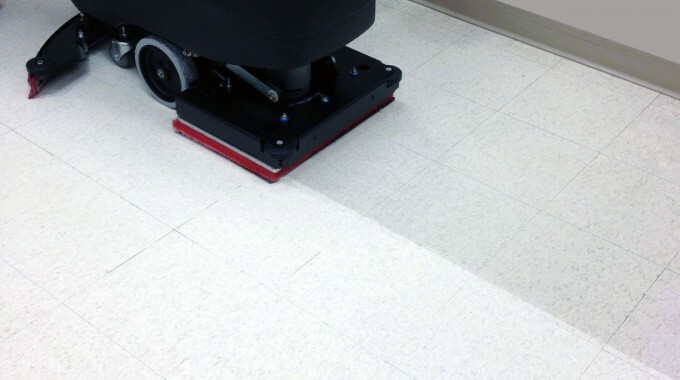 While the concept is new, chemical-free floor stripping involves using existing orbital scrubbing technology with surface preparation pads you’ve already got on hand. The technology eliminates the need for chemicals and makes your job easier and quicker. Maintaining a high-finish floor in a heavy-traffic environment can seem near impossible. Scuffs and dirt buildup thanks to customers, staff or patients can break down floor finish and make your floors look dull and lifeless shortly after stripping them and applying a fresh coat of wax. Using orbital scrubbing technology and chemical-free finish removal, you can adequately prep floors to hold on to high-shine wax. Floors will gleam and glisten with that high-quality shine and look fresher, longer. 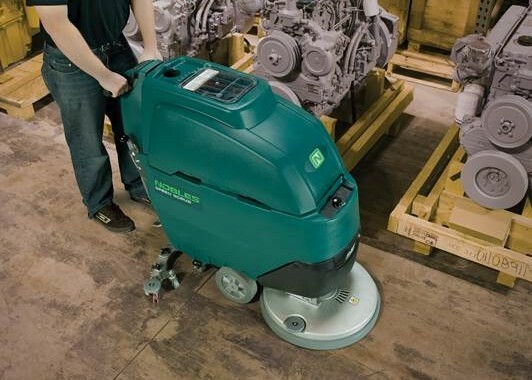 Orbital scrubbing technology is a time-saver: your floors can be stripped in just 22% of the time it takes using harsh chemicals. In a retail setting, one technician using orbital floor technology can cover the same square footage as three technicians using traditional stripping methods. In schools, classrooms can be stripped in as little as 30 minutes and in a health care setting, patient rooms can be prepped for new finish in as little as 10 minutes. Think of everything you could do with all that extra time and manpower! Going chemical-free will allow your team to work more efficiently and effectively. Like I always say — work smarter, not harder! Time spent cleaning up is greatly reduced without the pain of removing gooey stripper slurry from tools, squeegees and other equipment. Chemical-free stripping puts less demand on your budget by eliminating the need for stripper. All you need to for a chemical-free strip is water and surface preparation pads. Simple! The need for neutralizers? Eliminated! Rinsing is as easy as using clean water and a red pad. Quick and painless, now your floor is ready to finish. By removing hazardous commercial floor cleaners and chemicals from the stripping process, you eliminate all major safety concerns. 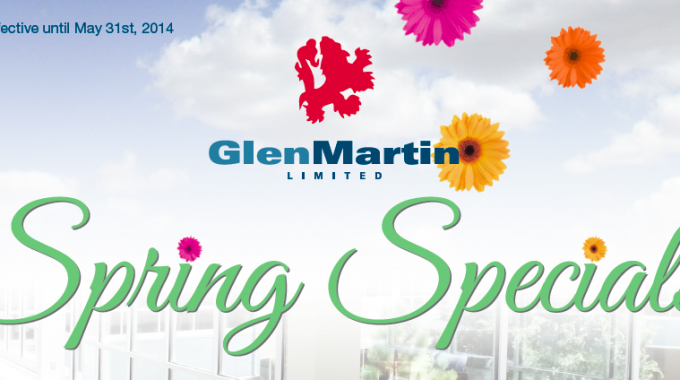 Slips and fall risks are reduced without the slippery stripper slurry left behind on floors. In the healthcare environment, you no longer have to worry about patients, visitors and staff being exposed to the harsh smells left behind by commercial janitorial supplies and commercial janitorial cleaning products. Orbital scrubbing technology stands out from the crowd. With its chemical-free finish removal capabilities, you’ll have massive labor and material cost reductions and improved indoor air quality. 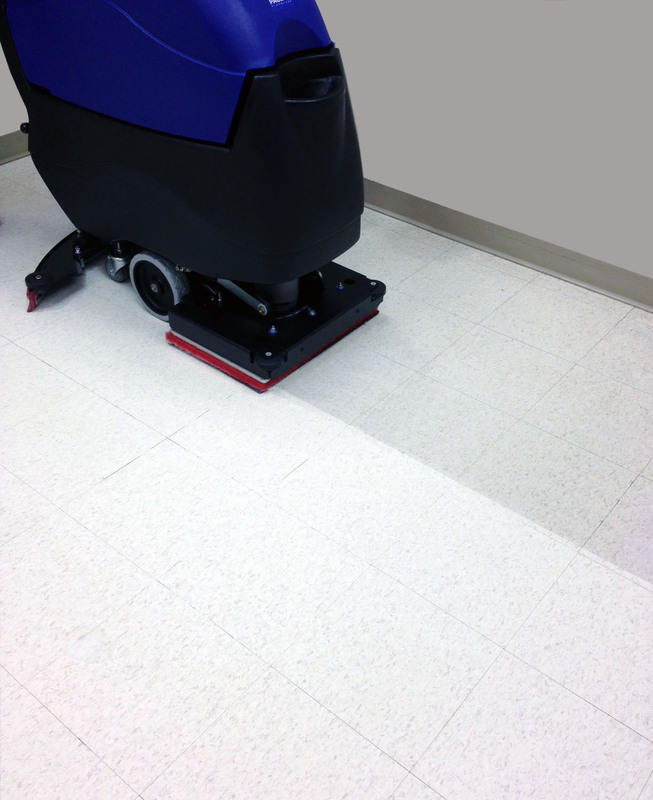 Chemical-free floor stripping using commercial floor cleaning machines is a change worth making! Have you connected with me on Facebook and Twitter yet? As the premier distributor of janitorial supplies Simcoe County, I have a wealth of cleaning knowledge and janitorial tips to share. previous post: Where do your used floor pads end up?